How is that possible? Well, to begin with undocumented immigrants work hard and their average family income in Pennsylvania is $31,400. While that is more than $20,000 below the average for all families, it is enough to generate substantial tax payments. Undocumented immigrants pay about $64 million in sales taxes in Pennsylvania. They also pay $36 million in property taxes both directly, as 30% of families headed by undocumented immigrants own homes in our state, and indirectly, as property taxes are passed through in the rents paid by those who don’t own their own homes. Undocumented immigrants also pay $34 million in personal income taxes (PIT) to the state. That may surprise people who think of undocumented immigrants as being paid under the table in cash. But federal laws have forced may undocumented immigrants to secure papers, including Social Security numbers or Individual Tax Identification numbers that allow them to be paid through payroll systems that withhold personal income taxes from their paychecks. Of course, some undocumented immigrants are paid through channels that do not withhold personal income taxes. Yet, overall, undocumented immigrants pay 7.2% of their income to state and local governments. That is less than the percentage paid by low and middle-income Pennsylvanians (which is 12% for those in the bottom 20% of families and 10% for the middle 20% of families.) But it is far more than the rate paid by the richest 1% of Pennsylvania families, which is 4.2%. And if we want undocumented immigrants to pay more in taxes, there is a simple solution: give them legal status. ITEP estimates that doing so would bring another $52 million, mostly in personal income and wage taxes, into the coffers of the state and local governments of Pennsylvania and raise the taxation rate of currently-undocumented immigrants almost to the level of middle income Pennsylvanians. One last point: this entire analysis only looks at what undocumented immigrants themselves pay in taxes. It does not take into account the dynamic effects of undocumented immigration on Pennsylvania’s economy, that is the impact of the consumption of undocumented immigrants on the earnings of other Pennsylvanians and the taxes they pay. 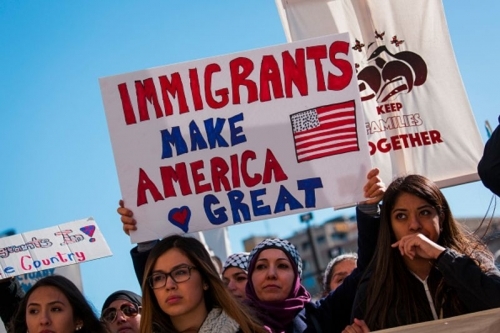 Comprehensive studies of the impact of immigration on the American economy have shown that our economy, and thus the taxes raised by federal, state, and local governments, realize benefits from immigration of all kinds. When it comes to the DACA issue, the first thing we should consider is the moral horror of sending young people brought to this country through no choice of their own “back” to countries they may not even remember, whose language they do not speak, whose culture they do not know, and where they have few connections to other people. That should settle the issue. But for those who worry that a generous policy towards the Dreamers will create an economic burden on Pennsylvania and other states, we can state clearly that the answer is the opposite. Undocumented immigrants pay substantial taxes to state and local governments in Pennsylvania. And offering them legal status will increase the taxes they pay even more.